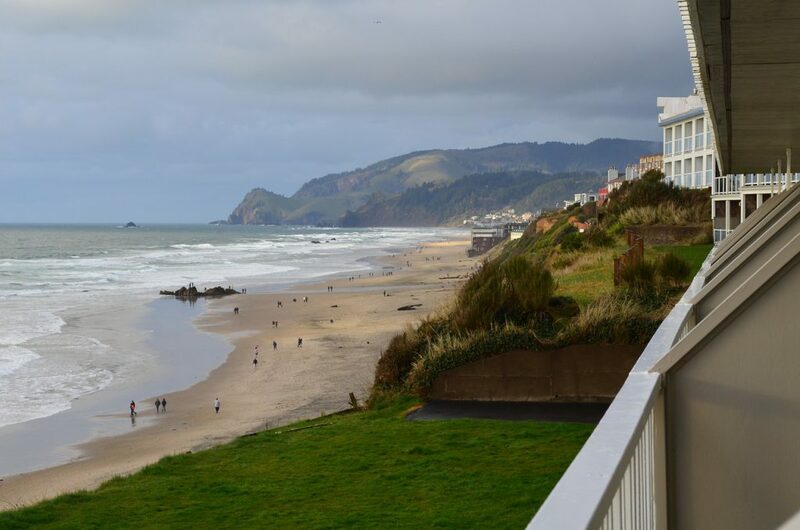 With some of the state’s best seaside attractions and beach house rentals, Lincoln City, Oregon is known for its 7½ miles of beautiful beaches that attract visitors throughout the year. This is why it’s the perfect setting for Laura Joki’s beachcombing clinics that started in January of this year and are wrapping up at the end of April. If you want to catch one of these fun and free beachcombing clinics while they last, or if you’re just looking for an excuse to get away from it all, it’s about time to book your beach vacation rentals! Lincoln City is waiting to show you all the treasures that its beaches hold. Saturday, April 13 at 11:00 a.m.
Wednesday, April 17 at 3:00 p.m. The clinics each begin with a short orientation followed by a walk along the beach with stops to guide you through the process of hunting for seaside treasures such as gemstones, fossils, agates, shells, rocks, minerals, jasper, and petrified wood. Beachcombers are advised to follow strict beach safety precautions, wear good outdoors shoes, and to bring a raincoat, a pair of gloves, and a sturdy container or bag for collecting all your treasures. Over the course of the two-hour clinic you are also encouraged to ask lots of questions, so that next time you go to the beach, you’ll know exactly what you’re looking for. Even when the beachcombing clinic season is over, visitors can always find Laura Joki at Rock Your World, a shop in Lincoln City’s Nelscott District run by her and husband Mike Joki. They sell all sorts of rocks, gems, fossils, and handcrafted jewelry made from these and other treasures from the seaside. It’s always worth a visit even if you just want to have a chat and see what they have in their collection. If you love shopping for unique and handmade items, there are also several other jewelry shops in Lincoln City as well as art galleries, glass and pottery studios, gift shops, and other unique stores where local artisans and antique dealers sell their wares. Catching the end of 2019’s beachcombing clinic season is one great excuse to book one of our vacation houses or beach condo rentals. Lincoln City is always offering up fresh, new reasons to visit, from whale watching and storm watching to clamming and crabbing to kite-flying festivals and culinary cookoffs. There are also accommodations available to suit every visitor’s needs, from one-bedroom condos on the busy beachfront to secluded homes with space for an entire family reunion. And whenever you visit, Lincoln City’s 7 ½ miles of beaches are always full of treasures for you to explore. Previous PostPrevious Visit Lincoln City, Oregon for the Festival of Illusions!